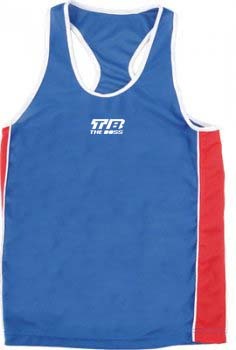 <h2> Boxing Vests </h2> 100% polyester mesh with best quality of shoulder straps that don?t slide out. Colors: Red, Blue &amp; with your own country flag image. Sizes: S to XXL.